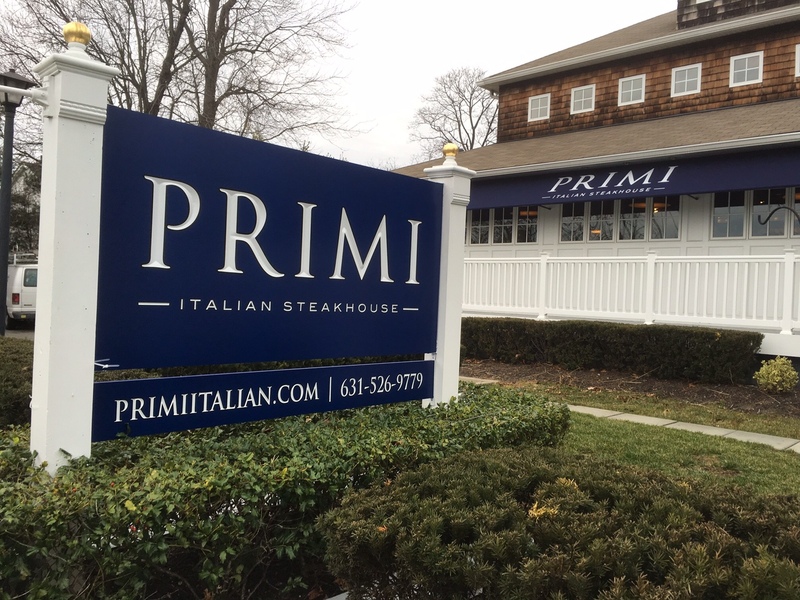 Primi Steakhouse - J Signs Inc.
J Signs Inc. produced and maintains external signage for Primi Steakhouse in West Islip, NY. Primi Italian Steakhouse endeavors to deliver the premier steak experience in the heart of Long Islands Great South Bay. Located in West Islip, NY the bar area features soaring 25 foot ceilings and a cozy fireplace lounge. This handsome and spacious restaurant is designed to feel cozy and comfortable, where serving the highest quality ingredients is paramount. Their menu features Steaks that are USDA Prime and Dry-Aged for a minimum of 28 days and is rounded out with various poultry, meat, and fish, alongside classic and inventive pastas dishes, and unique spins on traditional Italian fare. Join us for a high-energy but luxurious dinner in any of our three dining areas or drop by the bar to watch the game and enjoy a more casual dining experience featuring a unique bar menu. 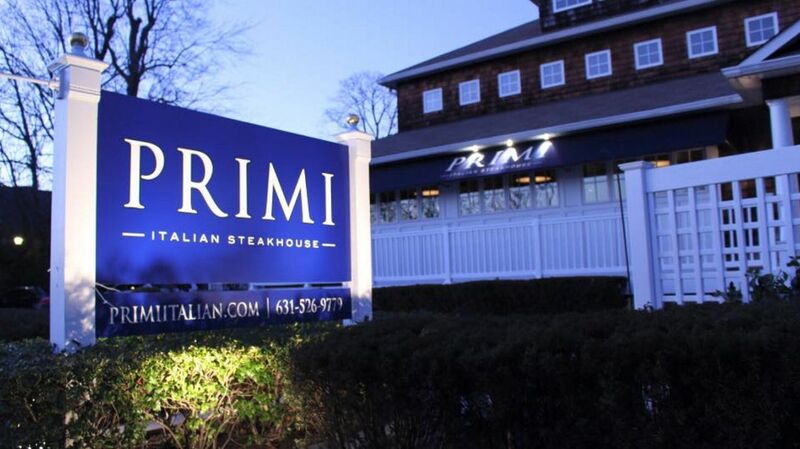 Primi Italian Steakhouse is the perfect gathering space for small groups and parties up to 135.